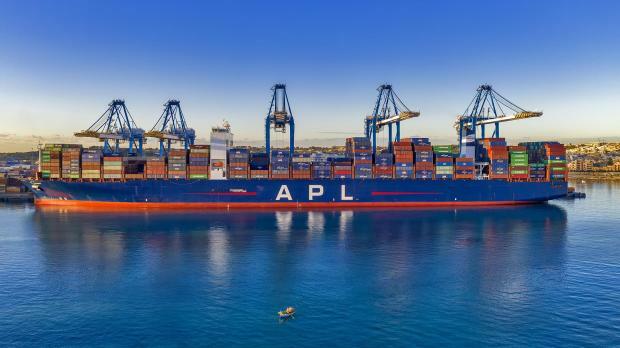 The Freeport this week handled over 8,000 containers on the 398-metre-long APL Changi, which has capacity to carry more than 17,000 containers, before sending it on its way. Malta Freeport Terminals handled a record 3.31 million containers in 2018, the company said in a statement on Monday. More than 2,200 vessels called at the Freeport over the past 12 months, the company said in a statement. This week alone, the Freeport shifted over 8,000 containers on a single ship, with five tall cranes deployed on the 398-metre-long APL Changi, which was built in 2013 by Hyundai Samho Heavy Industries and carries more than 17,000 containers, to enable workers to perform the feat.